On Sept. 28, 2015 at approximately 12:53 pm York County Sheriff`s Deputies responded to a robbery at the Yadkin Bank, 1738 Gold Hill Rd. Fort Mill, SC. 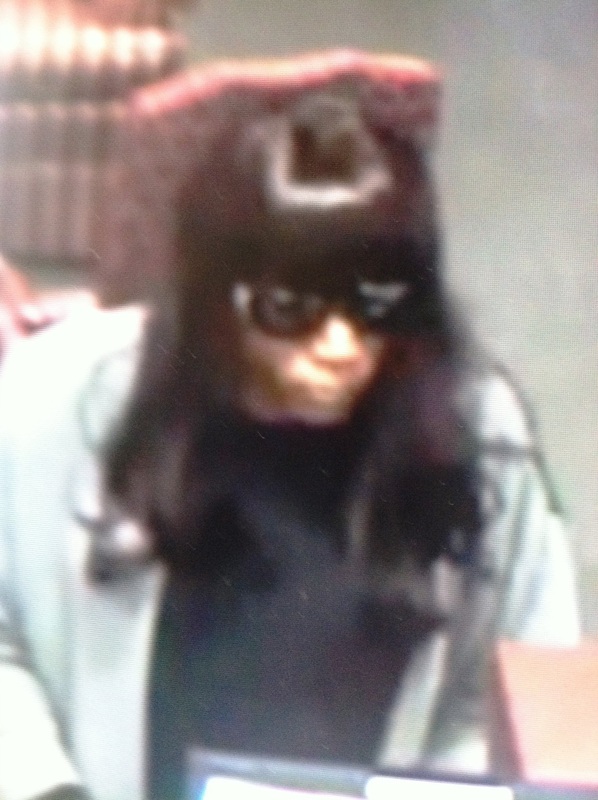 Witnesses at the bank say that a black man dressed as a woman, wearing a black in color long wig, large rimmed sunglasses, long gray in color dress carrying a hand bag robbed the bank. The suspect gave the bank clerk a note demanding money, but it`s unclear if a weapon was shown at this time. The suspect then ran out the front door towards Highway 160. It is unclear if the suspect left in a vehicle or not. York County Sheriff K-9 units were called to the scene but were unable to track the suspect. Detectives ask if anyone saw this person or has any information about this crime to call Crime Stoppers of York County at 1-877-409-4321 or the York County Sheriff`s Office at 803-628-3059.